When you're heading out on the road for a weekend camping trip or a cross country adventure, the last thing you want is a problem with your RV. 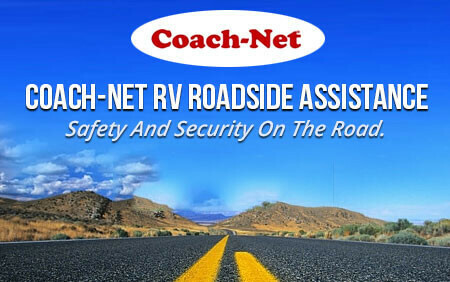 Whether it's a flat tire, a dead battery, or lost keys, Coach-Net's RV Roadside Assistance program is there to help. If you own a motorized or towable RV, or if you're considering buying one for the first time, you owe it to yourself to learn more about Coach-Net's Roadside Assistance program. We have a plan for every type of RV and budget. To learn more, complete the following form and we'll provide you with all the details.